Did you know that Disney’s restaurant reservations can book solid for three months within minutes of coming open? I’ve got two boys under 4 who are wild about Disney. (My youngest is currently walking around, wearing my SFB7 t-shirt like a kimono, proudly pointing out, “Cinderella’s Castle!” They love Goofy, Pluto, Nick Wilde, and Mater; but the real star, of course, is Mickey Mouse. If we don’t see another character on our entire vacation, it will still be a success as long as there’s a meeting with the Mouse. 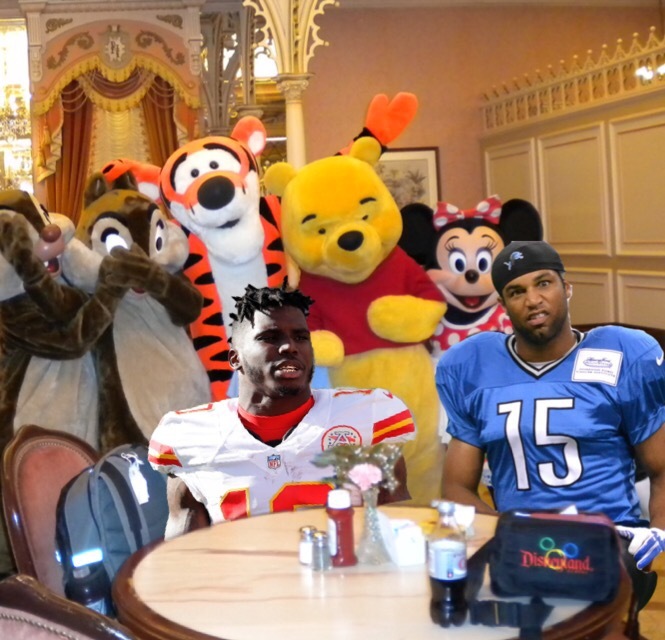 So here I am, in the middle of writing a Tyreek Hill versus Golden Tate article, brow furrowed, (occasionally swearing under my breath,) trying to navigate the DisneyWorld dining reservations website to secure a breakfast with Chef Mickey… in December. And there are zero spots available; every day of our week-long vacation is booked solid. Frantic, I look again. There are other restaurants, of course, and they would probably be terrific. There might even be a better place to eat, but I know what I’m getting with Chef Mickey and his mouse-ear waffles. When it comes to Tyreek Hill though, I have plenty of reservations. Kyle [LaBreck] touted him on the podcast as a league winning pickup early in 2016. Hill materialized, and I watched with glee as he took the league by storm with his elite speed and his ability to be a dynamic weapon from multiple positions on offense and special teams. 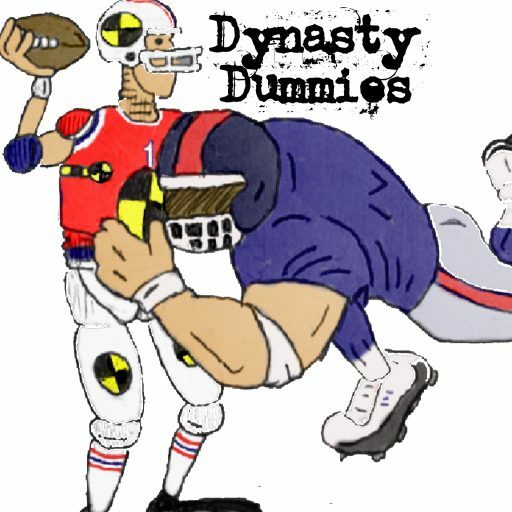 On Christmas Day, with the entire fantasy football world watching, Hill took his third touch of the game for a 70 yard touchdown. He torched the vaunted Denver defense for 95 yards and a touchdown on just six carries and captured the imagination of the dynasty community. After all, how often does a 23 year old offensive weapon come along with the ability to break a game on the ground, through the air, AND returning kicks? There’s no arguing that Tyreek Hill, (whose current adp is 53 overall,) exploded onto the scene in 2016; he posted 860 total yards from scrimmage (267 rushing and 593 receiving) and 9 offensive touchdowns. If you incorporate his contributions in the return game, Hill finished with 12 tds and 1836 all purpose yards. Pretty gaudy numbers for a rookie, right? Except, we’ve seen this movie before. If you want to eliminate Harvin, go ahead; he’s not nearly the ball carrier that the other three are and is probably a more polished, dynamic pass catcher. 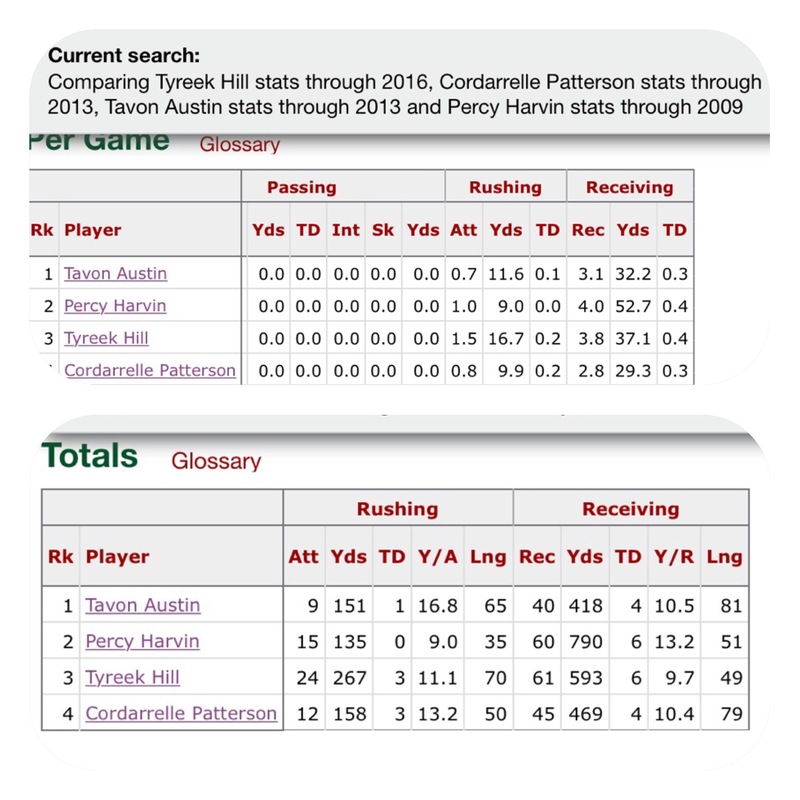 But Austin, Patterson, and Tyreek Hill had eerily similar rookie seasons all the way down to the fact that they finished within 8 receiving yards per game of each other. While it’s not damning, it doesn’t exactly instill me with confidence in Hill. I’m still tentative. Instead of seeing his shift toward more receiving work as a boon, I see the potential for this to limit Hill’s carries and thus limit his upside. If Hill truly fills the vacated Maclin role, sees somewhere in the realm of 110 targets, and keeps up his 70% catch rate, he could end somewhere in the vicinity of 77 catches for 790 yards and 8 tds. Add in 25 carries for 275 yards and the inevitable touchdown, and you have yourself a burgeoning stud WR1. There are a few issues with this projection. Since 1995 there have only been three WRs to post more than 110 targets and 25 rushes: Eric Metcalf in 1995, Percy Harvin in 2011, and Reggie Bush* in 2006. (*According to Pro Football Reference, Bush had dual eligibility at running back and wide receiver in ‘06, ‘07, and ‘09.) I expect Hill’s increased workload as a receiver to dial back some of his valuable touches in the running game. Sure, he’ll still see a Jet Sweep now and then, but history says his one and a half carries per game are a thing of the past. Also tied into driving down Hill’s number of carries is the fact that his role could evolve to see greater depth on more of his targets this season. If we assume Hill slides into the Maclin role as the number one receiver in KC, then it’s not too crazy to assume that Hill sees an increase in target depth. As the depth and number of targets goes up for Hill, it seems logical for his efficiency to go down. (He hauled in 73.5% of passes thrown his way in 2016, a catch rate that was far similar to running-back-numbers that receivers.) I can envision a scenario where Hill’s yards per catch increases to upwards of 12, his targets increase to 110, but his overall season ends up looking something like 68 catches for 760 yards and 7 touchdowns. Add in a somewhat decreased role in the run game (16-168-1), and Hill is still comes in around a respectable 209 ppr points. With Matthew Stafford at the helm, Detroit ranked 10th in pass attempts at nearly 37 a game. I don’t see this slowing. The Lions added a big bodied potential number three option in rookie Kenny Golladay, but he should be a complimentary piece to Tate and Marvin Jones this year. It all adds up to another year of consistency for the 28 year old Tate. It’s hard to see him at any less than 125 targets, catching 90 balls for 1,100 yards and 4 scores. I can’t knock you for trying out Tyreek Hill; he might be excellent. But for me, in the fifth round, I’m taking the tried and true Golden Tate. With no reservations. Editors Note: Reservations booked for an 11:45 brunch with Chef Mickey the last day of our stay! Golden!